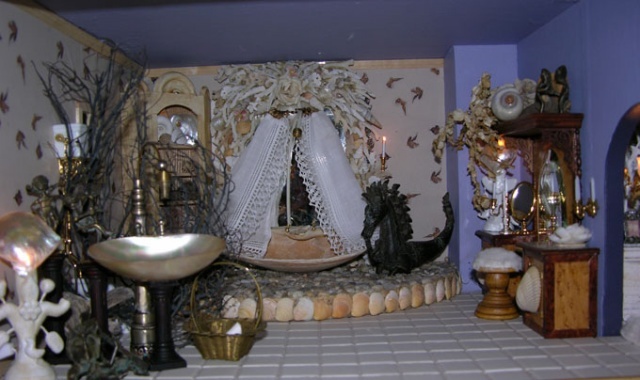 The tub is a clamshell as is the sink, all inspired I'm sure by seeing Colleen Moore's dollhouse as a child. Our collection of Ghanaian gold weights serve as sculpture. The floor lamps are retrofitted from Mexican clay candleholders. Wallpaper is my design based on drawings of kelp I did in California several years ago. The screen is a sea fan.